Paducah Arts Alliance (PAA) Artist-in-Residence Wes Modes, from Santa Cruz, invites visitors to step back in time and board the 1940s era shanty boat docked in front of the River Discovery Center at 117 S. Water Street during special Open House hours. Modes will be on board to share sea stories with visitors. He will also present his talk Secret History of American River People at two times and locations this week. Modes embarked on his epic journey on the Tennessee River this summer—a research voyage that started in Knoxville, Tennessee, progressed through northern Alabama, and concluded at the Port of Paducah last week—to discover, present, and connect the personal narratives of river people from the deck of his 1940s era shantyboat. “It appears that Paducah has managed to both create a lively downtown and preserve its history. Not many of the towns we’ve passed through have managed this,” said Modes. Modes’s artist residency, which runs through September 6, includes a Secret History exhibit (on display at the River Discovery Center), interviews with local residents who share their riverlore, and talks about the project. 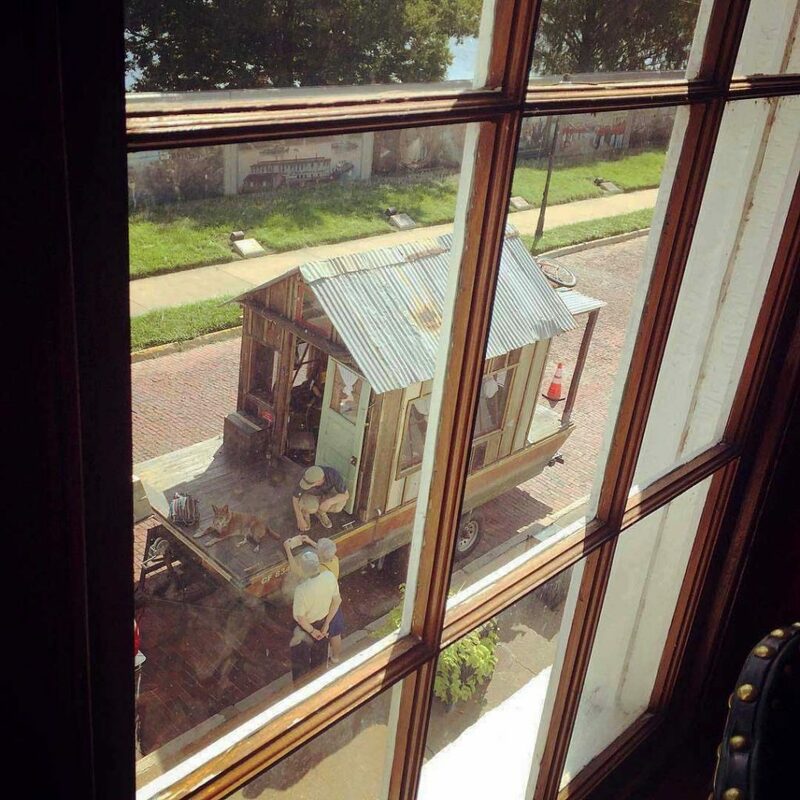 The shantyboat will also participate in Paducah’s Labor Day Parade on Monday, September 5. For interviews, email Wes Modes or call him at 831.704.6690. View more project photos here.